Last week we were wondering what would win (seven “w words” in a row!) the American Library Association’s children’s book awards. Now we know. This week’s Sunday Brunch looks back over our shoulder at DEAD END IN NORVELT and A BALL FOR DAISY and then starts looking ahead to Newbery/Caldecott Day 2013. Hey, it’s never too early! We also ask what books made you cry as a kid and what books you promise to (finally) read in this coming year. I'm still excited about this week's book awards. The more I think about DEAD END IN NORVELT winning, the better I like it as a selection. Everyone loves to hear the stories of where the medalists were and what they were doing when they received The Phone Call. Thanks to Publishers Weekly, you can read those stories right here. And here is a round-up of all things Newbery and Caldecott by Fuse #8 herself, Betsy Bird. For my fellow book collectors, had you already preemptively purchased copies of the winning books, or did you have to rush out on N/C morning, hoping to find prize winners? Did you have good luck? I'm still trying to track down first printing numbers for these books (does anyone know?) My guess is that, due to the popularity of illustrators Chris Raschka and Lane Smith, both Caldecott winner A BALL FOR DAISY and Honor Book GRANDPA GREEN had large first printings. I would also assume that DEAD END IN NORVELT had a respectable first printing due to the success of many of the author's previous books. The other books I'm too sure about. As of this week, I have seen many first printings of Newbery Honor Book BREAKING STALIN'S NOSE in the bookstore. However, Newbery Honor INSIDE OUT & BACK AGAIN is already in at least its seventh printing. A BALL FOR DAISY is now in at least its second printing, though I imagine you might still find some firsts out there. I believe Caldecott Honor BLACKOUT was in at least its second printing before the awards were announced. Does anyone have any more definitive or up-to-date info on these figures? By the way, I know for a fact that there were a couple limited editions of this book released in proto-galley form way way back in early 2011. These editions had brown covers and photographs in the back that I always assumed would appear in the final edition (they didn’t). This book also sported an image on the spine of Jack the hero holding binoculars up to his eyes, his shirt covered in bloodstains. This image (which would have sold a lot of books) has never appeared anywhere else. So if you are one of the lucky souls who has one of these editions, good news! That puppy is going to be worth an awful lot of money someday. Indeed it will! If you work in a library or bookstore and come across such an item, don't toss it out! Try selling it on ABEbooks. Try selling it on eBay. Try selling it to me! Blog reader Esperanza wondered why I had so little to say about the Caldecotts. It's probably because I don't follow picture books that closely and don't really know how to evaluate them. If I were on the Newbery committee, I think I'd be able to compare and contrast LITERARY works of many different genres, but if I were on the Caldecott committee I think it would all just come down to personal taste. But I can, at least, provide a couple random facts about author/illustrator Chris Raschka. This is the third time he has been honored by the American Library Association. He received a 1994 Caldecott Honor for YO! YES! and won the 2006 Medal for THE HELLO, GOODBYE WINDOW. 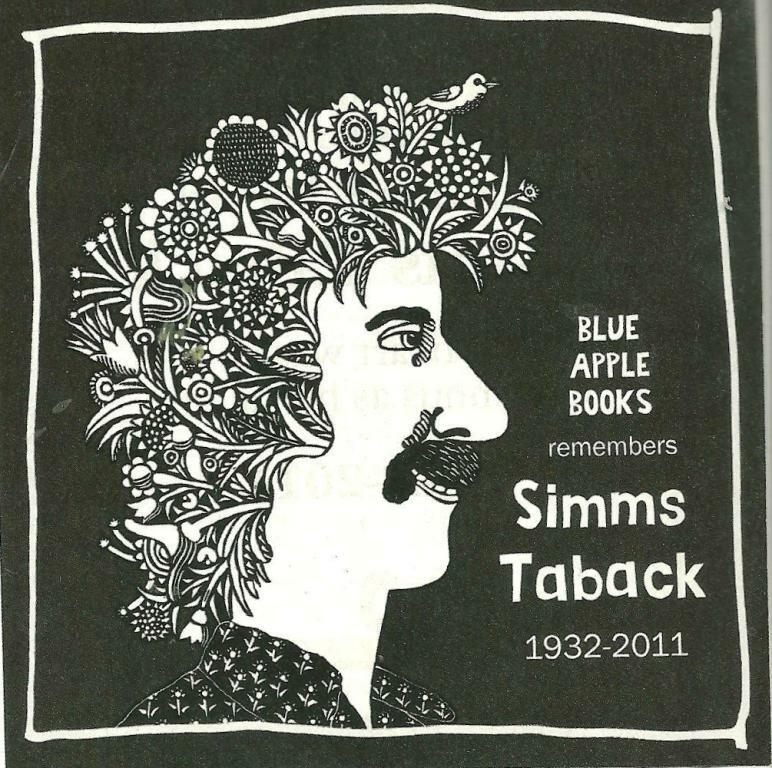 As a time-two winner, he joins a select club whose only other members are Robert McCloskey, Barbara Cooney, Nonny Hogrogian, Leo and Diane Dillon, and Chris Van Allsburg. At age 52, he's just a bit older than the average age of Caldecott winners. A big "boo" to NBC's TODAY show for not featuring this year's Newbery and Caldecott winners on the show. Even though TODAY's annual N/C segment never lasted more than a couple minutes, it was always good to see children's book creators in the spotlight...and even that brief TV appearance helped sell books. Last year, the winners were pre-empted by a segment on Snooki, and this year they werekn't shown either. Someone did suggest that the American Library Association should have been lobbying for this appearance and perhaps they had not done so...which leads me to my next rant. Though I love the ALA for presenting these awards...for providing us with the live broadcast...and, well, just everything they do on behalf of libraries, I still have a few bones to pick with this organization. I've said it before and I'll say it again. Why does an organization whose primary goal is dispensing information to the public have the most arcane, most difficult to navigate website in the history of the internet? Why does an organization that fights the good fight for freedom of information block some of its website content -- such as some of the Printz acceptance speeches -- from the public, sharing this information with "members only"? Why haven't this page and this page been updated yet, since they are supposed to include the Caldecott and Newbery titles "to present"? And why in the heck does this page refer to the "lastest ALA Youth Media Awards." I'm assuming it's just a simple typo, but it has been there for a long time without being corrected. I'm glad I don't ever make any typos on this bloog. Now that the 2012 awards have been announced, all eyes (well, some of us) turn toward 2013 and start to wonder what titles will be announced next January. Do you have any early predictions? Titles you've read, or maybe just heard about, that already sound promising? 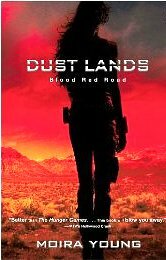 Apparently the dustjacket on the hardcover edition will be gussied-up with foil and embossing, but I'm still not sure what I think of it. Does it have the look of a "classic" or (as I'm fearing) is it so generic looking that it will blend in with a hundred other current books on the children's and YA shelves? What do you think? Looking ahead, a lot of people are already predicting that John Green's new novel, THE FAULT IN OUR STARS, is the frontrunner for next year's Printz Award. It is a strong book, but I tend to think that when books are published so early in the year and deemed future award winners from the get-go, they sometimes lose steam over the course of the next twelve months. "CHIME" in with your theories. One of the most unusual things about THE FAULT IN OUR STARS is that the first printings were signed by the author. 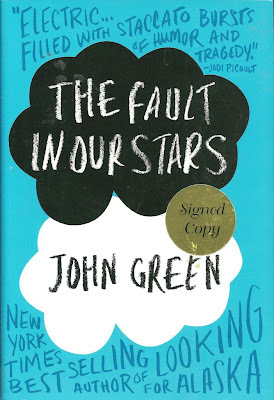 According to a recent interview with Ilene Cooper in BOOKLIST, John Green originally had the idea of signing all the preorders of the book. There had been 1200 preorders of his previous title, PAPER TOWNS. However, his publisher said that due to warehousing issues and other problems, the only way he'd be able to sign the preorders would be to sign the entire first printing. Green's early books all had first printings of about 20,000. 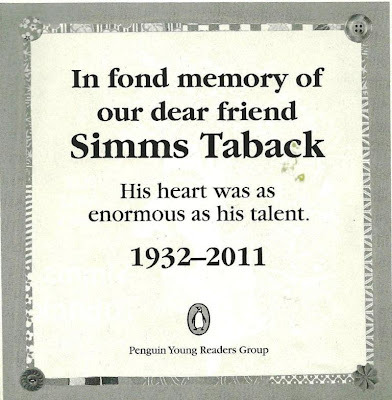 ...Then he learned the first printing of THE FAULT IN OUR STARS would be 150,000 copies! According to a Book Page interview, the author signed books for twelve hours a day, seven days a week, for an entire month. He told Ilene Cooper, "I signed every single one of those books. I did not cheat ever, but I didn't always sign them well. 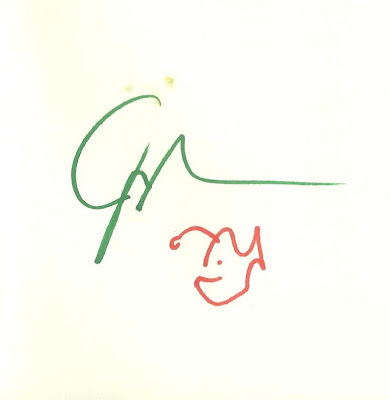 In fact, when I messed up a signature, there's a secret URL that I would write at the bottomn that takes you to a video of me apologizing for your terrible signature." According to the author, he watched television while signing the books, including PBS documentaries, "every episode of MYTHBUSTERS" and "the entire five seasons of this show called PAWN STARS that I didn't even like." 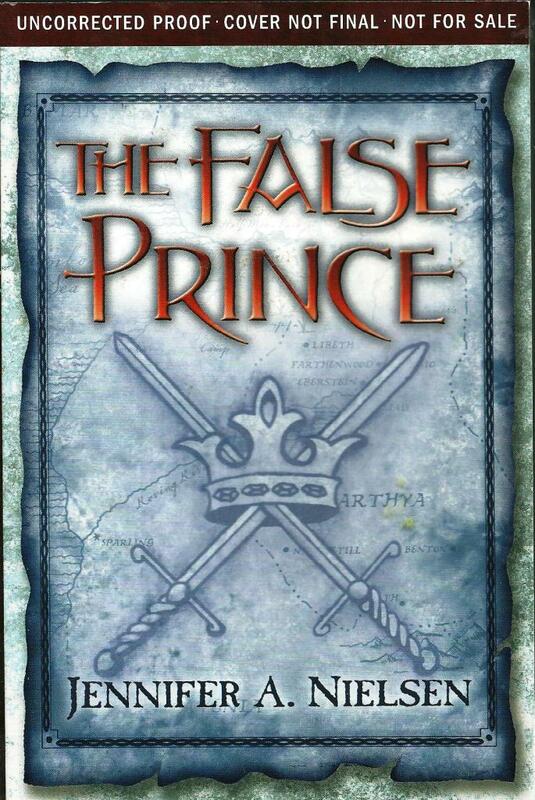 I've read a lot of discussion on Facebook and other internet sites about people "sobbing" over this book. What is it about human beings that we are so drawn to "tearjerkers." From my own perspective, I find stories about sick and dying people -- especially young sick and dying people -- very difficult to read, especially as I've gotten older and become more and more aware of my own mortality. But as a kid I loved them. In fact, when I was a kid there seemed to be a cottage industry in books about sick and/or dying children. KAREN by Marie Killilea was big back in the sixties and seventies. I was fond of THE STORY OF GABRIELLE by Catherine Gabrielson, a book I discovered in a Reader's Digest treasury. Cowgirl Dale Evans wrote volumes about three of her kids who died untimely deaths. Then there was DEATH BE NOT PROUD by John Gunther and ERIC by Doris Lund. 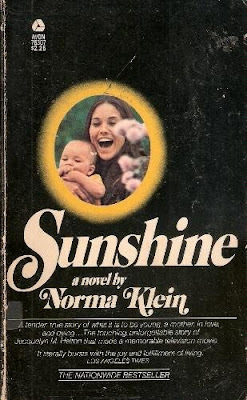 Based on a TV movie of the same name and adapted by YA author Norma Klein, SUNSHINE, with its black-bordered cover, was THE "tearjerker" of the seventies. These titles were much lesser-known (did Norma Klein really write them, or just lend her name to them as author the first book?) 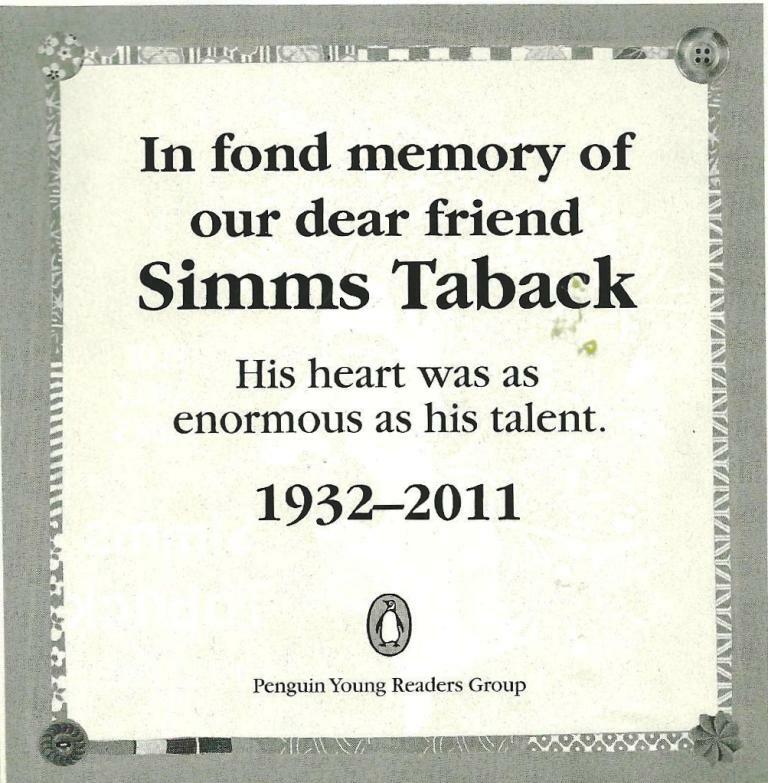 than SUNSHINE, which remained in print for many, many years. The 1980s brought us Lurlene McDaniel, who never wrote about a kid she couldn't kill off. And a couple years back there was the popular English import BEFORE I DIE by Jenny Downham. What were your favorite "five-hanky books" from your childhood and teenage years? Do they still move you today? I've been reading that a recent trend in adult books involves shortening the time between the appearance of the original hardcover and its subsequent paperback edition. I wonder if this trend is now beginnning to impact books for young people as well. Is it just a fluke or are books for young readers now also following this new trend? Stay tuned! Yesterday I watched Woody Allen's latest movie, MIDNIGHT IN PARIS, which concerns the American expatriates who lived in France during the 1920s. 1) Have there ever been any children's books about this era, perhaps from the perspective of a child whose parents American parents were living in France during the twenties? I feel like there must be some, but I can't think of any titles? Can you? 2) Were any children's books written by the famous American writers living in Paris during that era? To partially answer #2, I can only think of one -- THE WORLD IS ROUND by Gertrude Stein. color lithograph illusrations, Ms. Averill wrote and published DANIEL BOONE, with illustrations by future Caldecott winner Feodor Rojankovsky along with several other children's books. Some of these books would later be reissued by American publishers after Averill returned to the States, but the original editions from Domino Press remain the ones most valued by collectors. I am intrigued by today's Heavy Medal blog in which Jonathan Hunt asks, "Is there a Newbery book that you’re ashamed to admit that you haven’t read yet? Perhaps one that is considered a classic? That everyone else seems to have read but you? Don’t we all have these books on our own personal shelf of shame?" He reports his own experiences trying to read Virginia Hamilton this past year. He got through M.C. HIGGINS but still hasn't read THE PLANET OF JUNIOR BROWN and SWEET WHISPERS, BROTHER RUSH. Oh Jonathan, those are the two best! I also groaned when I learned he hadn't yet read THE WITCH OF BLACKBIRD POND and THE BRONZE BOW by Elizabeth George Speare, two novels so magnificent that I can't decide which I like better. I then continued groaning when I read the reader comments. Someone hasn't read JOHNNY TREMAIN, acknowledged by many as the best Newbery ever? Someone else has only skimmed JACOB HAVE I LOVED, one of the greatest winners ever? Someone hasn't read Scott O'Dell? ...Then I remembered that I've never read Susan Cooper's five-volume DARK IS RISING series -- titles which others tell me may be the best children's novels ever written! Actually, I should amend that. I did turn the pages all the way through DARK IS RISING and THE GREY KING, but the stories meant nothing to me. I didn't understand them, didn't like them. So now is your chance to groan back at me: ARRGGH! 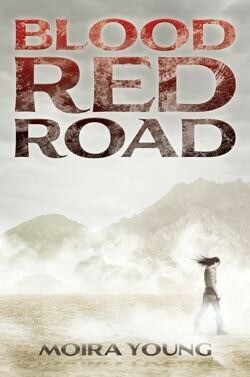 I guess my goal for 2012 is to read all five of the titles in Susan Cooper's series! What author or book from your own "shelf of shame" are you going to read in 2012? Thanks for visiting Collecting Children's Books. Let's see if I can muster up enough energy to write another blog later this week. Please check back! Just got one of those signed copies of Stars, knowing it would probably make me cry (I had just heard him on NPR Saturday). A favorite of mine while young in that genre is May I Cross Your Golden River; recently, Going Bovine fits in well. I wish some academic, maybe someone in psychology, would write an analysis of all of them together. I refuse to admit the titles I haven't read on the Newbery list, so I cut you slack on Susan Cooper. I didn't care for books 1 and 3, and thought Silver on the Tree was only so-so. But The Dark Is Rising is among my favorites, and I liked the Grey King a lot also. I've read most of the Newbery Award, except for a few of the more obscure titles (Shen of Sea? Dobry?) One book I have wanted to read, but haven't is The Trumpeter of Krakow. I like historical fiction and fiction set in foreign lands, but I have started this book several times and never been able to finish it. I don't know that I'm promising, but I may give it another try this year. My number one tearjerker as a kid had to be Where the Red Fern Grows. I must have read that book at least half a dozen times as a tween and teen, until I got to a certain age and just couldn't take those last couple of chapters anymore. I'd stop short. It's been more than ten years since I've read it, now, and I'm not sure I'll ever be able to read it again. 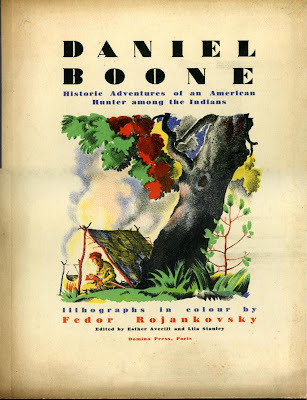 Rojankovsky, a Russian illustrator working in Paris should illustrate Daniel Boone, a book about an American folk hero for an American publisher. What about Jean Craighead George? Wasn't she pretty old when she won for Julie of the Wolves? I read Sunshine and all the follow-ups compulsively. Sunshine was my favorite book in 9th grade. 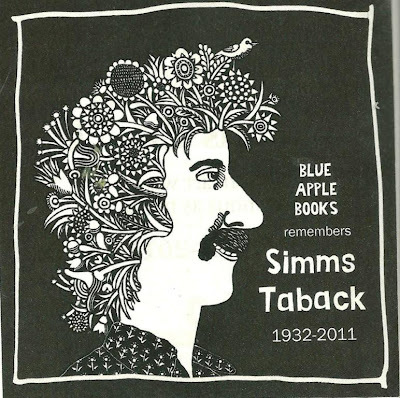 As for death lit, I also liked Echoes of a Summer and Ellen: A Short Life Remembered. Oh, and Eric. I was convinced that it was only a short time until I myself was toast. Isn't Libba Bray writing a YA set in the flapper-ish, Gatsby-ish era? Yes, I sobbed through parts of Where the Red Fern Grows also. Otherwise not much of a crier. More recently, Jefferson's Sons and Between Shades of Gray had teary moments. It's a cliche, but becoming a mother has definitely made me more prone to cry over books, especially mother and child moments as in the latter two books (both of which are excellent historical fiction). I did not cry while reading Fault/Stars, though. I think you'd probably like The Dark is Rising, although some books in the series are better than others. I have a truly, truly horrible confession. I've never read Madeline L'Engle. That is, I started one of her books (probably A WRINKLE IN TIME) as a child, didn't get into it, never read another. Since then I have heard so many rave about her writings...and I believe them. But the book just didn't make it with me. I have a feeling that if I read her books now I would like them, but oddly enough I also feel that this would be kind of a betrayal of my childhood self. So she remains unread by me. Forgive me if you can! Note to RS: Sorry, that was a typo. Raschka is 52 and Gantos is 60. I've corrected it. Sorry about the error. Daughter Number Three: I loved MAY I CROSS YOUR GOLDEN RIVER; don't know if I could stand to read it now. You probably know that "Paige Dixon" was a pseudonym for Barbara Corcoran. I like the way she handled the subject of sickness and death in a later novel. It concerned a kid whose mother had a brain tumor. The protagonist asked an elderly friend if he'd ever known someone with a brain tumor and he said, "Yes, three people. One died and two lived." I thought that was a nice, realistic way of offering hope in the novel. Sherry, TRUMPETER OF KRAKOW is my favorite Newbery from the twenties and DOBRY is my favorite from the thirties! Hope you'll give them another try! Lisa, books in which animals die are even worse than ones where people die. I just can't bring myself to read them unless I'm required to for some reason. Jil, you're right. I wonder if there are any similar examples or if this edition of DANIEL BOONE is unique. What? No one mentioned Old Yeller yet? I've also cried in A Wrinkle in Time when Meg tells Charles Wallace she loves him. One of my favorite tear-jerkers is a short book called The Visitor about an Irish setter abandoned at a boarding kennel. However, should you want to reduce me to a blubbering mess, one piece of (gasp) television does it easily: the end of "Lassie's Odyssey." I LOVED Sunshine when I was in middle school! I found my copy in a resale shop, so I never knew there were sequels. 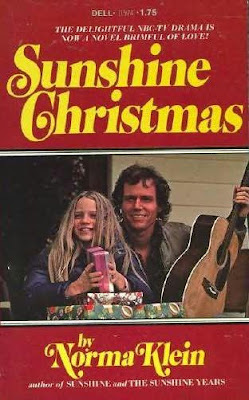 I still own Sunshine, so I might have to reread and track them down. I was also a huge Lurlene McDaniel fan. In addition to loving Karen, there was a nonfiction book called Michelle about a girl who lost her leg to cancer. Yep, checked it out compulsively. I clearly went through that phase - I think it lasted fourth grade through eighth. I will admit that I never finished Johnny Tremaine because I hated it so much (and I rarely hate books), so that won't go on my shame shelf. I never did read Higher Power of Lucky, though, which won the year I started working in libraries. What, no one else cried when Charlotte died (alone!) at the fair in Charlotte's Web???? The Which of Blackbird Pond has always been a particular favorite of mine & I remember feeling very strongly about Kit's plight & mistreatment, but I really can't think of a book from my childhood that caused me to break down in tears, which is a bit of a surprise as I was quite a drama llama as a kid. I was never into animal books, so I wasn't affected by all the dying horses & lost dogs. It doesn't take a lot to get the waterworks going now. I couldn't read The Book Thief when my husband was around because he'd give me such a hard time about the sobbing. I've really come to appreciate a good tearjerker.